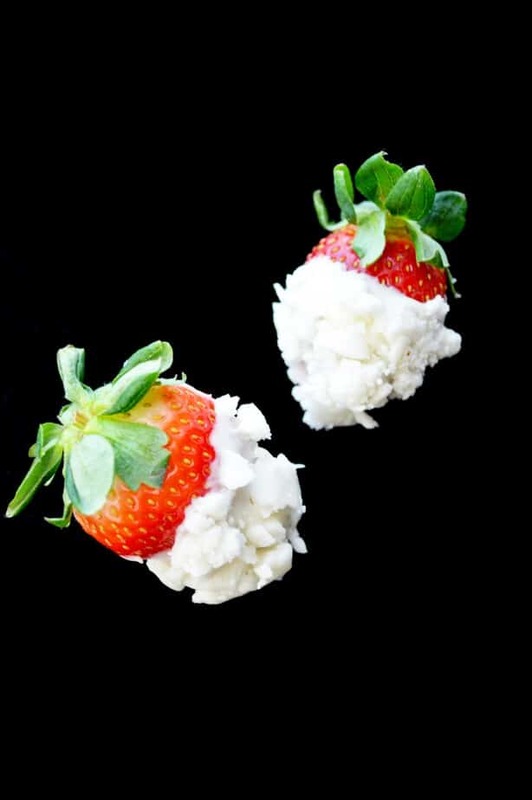 Here’s a sweet little something that’s easy to make but will send their tastebuds soaring- White Chocolate Strawberries dipped in crumbled soft peppermint candy! Perhaps a little Valentine’s Day surprise? Peppermint Candy (can be made a few days ahead of time and stored in the refrigerator). ¼ to ½ teaspoon pure peppermint extract (depending on how strong you would like the flavor to be). While they are drying put together the peppermint candy. In an electric mixer to combine the cream cheese and powdered sugar. (If your cream cheese is still a bit too chilled then the heat of your hands will help soften and combine everything easier). Slowly add the powdered sugar to your cream cheese, we did about ½ to 1 cup at a time, make sure it was fully incorporated and then added more. You’ll be looking for a consistency that is moldable but not sticky. Once fully combined you’ll add the peppermint extract, again, mix or knead thoroughly. If storing for a few day wrap tightly in plastic and store in the fridge. If using right away, cover with a damp cloth until ready to dip the strawberries. You’ll want to crumble the peppermint ‘cream’ into smaller pieces that will be easy to dip into. Melt your chocolate according to the package instructions. Line a large tray with wax paper before starting. With everything is out you will want to move quickly to ensure you’re able to add the peppermint before the chocolate starts to set. (The chocolate will harden faster than you might expect-in only a few minutes). After dipping carefully place each strawberry on the wax paper lined tray with enough space that they will not touch. Cover tightly and put back in the refrigerator to fully set. They should be fine to be out for a couple hours during a party, keep in mind they are done with cream cheese, so keep chilled and covered as much as possible. Best when enjoyed the same day. This definitely looks delicious, but I’m not a fan of white chocolate. I think I’d substitute milk chocolate or dark chocolate for the white chocolate. Thank you for sharing this recipe. Oh this looks scrumptious! This is the perfect valentine day treat. I know what I’ll be making. Thanks for the recipe. These look delicious! I think these are going on my Valentine’s Day treats list to make! Yum! I love the soft peppermint candies and these look so pretty! Brett, you have done a perfect job! These look so delicious! Love those photos too! Will put this on my Valentine’s day menu! How nice to include the peppermint candy recipe, too! Oh… I would have never mixed these two flavors, but I am sure this would taste amazing. 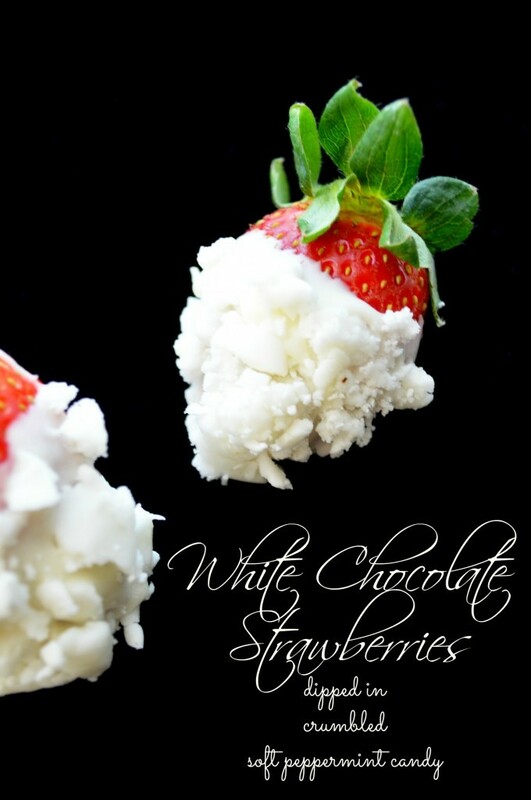 You can’t go wrong with white chocolate and strawberries! YUMMMMMMMM! Oh Brett. These look absolutely amazing. I’m going to pin these for later because I have go give them a try. Thanks for the fabulous recipe. I never thought about peppermint and strawberry. What a unique combination and I love that you can’t even tell that it’s peppermint.